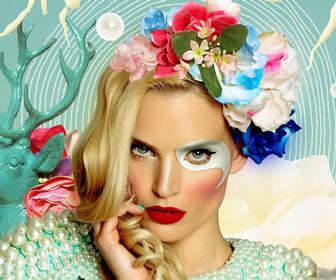 Update July 2018: We have now published a Corel Painter 2019 review by artist Tom Bagshaw. 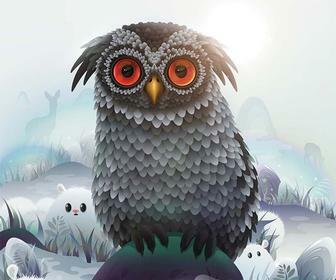 A brand new release of the digital painting software also gains new brushes and better control when choosing colours. 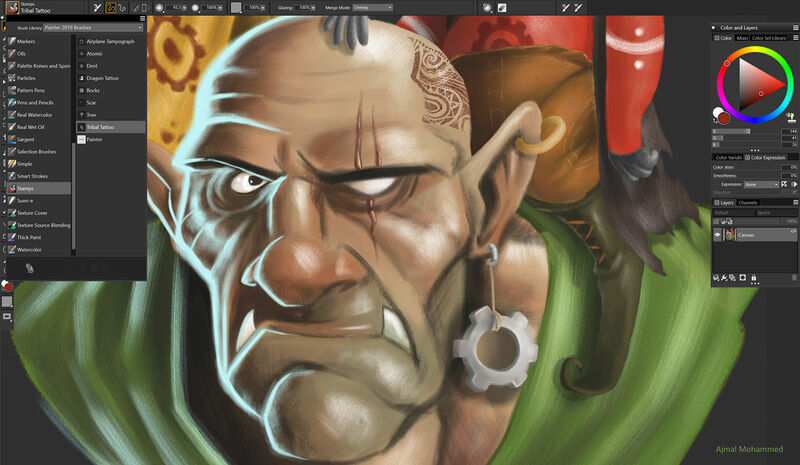 With Painter 2019, announced and released today, Corel has gone back to basics. The last few releases have all focussed largely on specific styles of painting or media, for example, Painter 2018’s gloopy, blobby Thick Paint or 2017’s Texture Painting and Glazing Brushes. 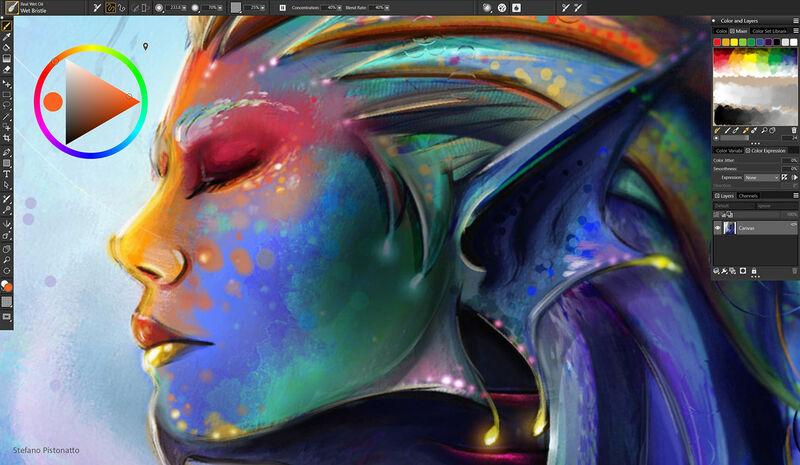 For this latest release, Corel has focussed on how you interact with the software and tried to make it easier to use throughout your day – upgrading the core painting engine and making adjustments to the UI. Painter is a notoriously power-hungry app – or as owners of more modestly specced computers might call it, sluggish. This is unsurprising considering that the app is trying to simulate the appearance of flowing, coalescing, drying fluids that reflect and refract light – and which you as an artist must insist on mixing together. So anything that makes it run faster will be gratefully appreciated by artists. 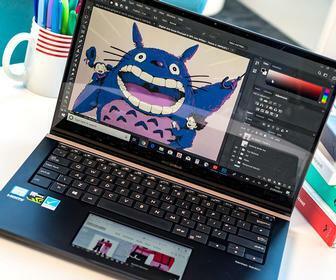 Corel says that due to performance enhancements, Painter 2019 is up to 38% faster when moving around your work, zooming in and out than in Painter 2018. Brushes are up to 75% faster. We’ll be putting this to the test in our review, which we’ll be publishing shortly. For those performance improvements, you’ll need a computer whose processor supports a technology called AVX2. All Intel Core i5, i7 and Xeon processors have included this since 2013 – and if you’re trying to run Painter on an older computer than that, you’ve bigger problems than this. However, it’s still an entirely CPU-based application – which is a shame as GPU acceleration could really improve performance for very complex mixtures of paints. The most obvious change is the new Dark UI – though of course you can keep the lighter version if you prefer. Corel says this makes Painter look more professional and “allows the interface to melt away so the artwork takes centre stage”. Some artists will like this, other will prefer things as they were. More important is that by doing this. Corel has taken the opportunity to modernise the UI, with redesigned icons that are easier to identify on hiDPI displays such as Apple’s Retina display. The colour controls have been given an overhaul too. The Colour Wheel, Hue Ring and Saturation/Value Triangle all work the same way as before – but the grabbers are bigger and easier to get hold of. The Temporal Color Selector (below) has been redesigned to take up less space in the UI, as has the Color Selector eyedropper tool. Windows users with touchscreens gain gestural control for panning, zooming and rotating the canvas. Alongside these upgrades to Painter’s core and UI, there are 36 new brushes. Some of these are within a new Stamps category, which let you quickly add shapes like tattoos or stencils to your work. 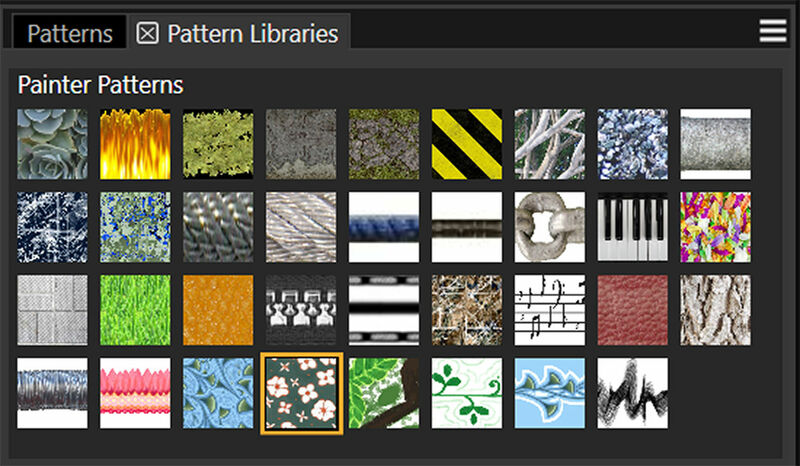 There are five new Patterns (below) and new brushes within the Selections, Airbrushes, Blenders, Dab Stencils, Glazing, Real Watercolor, Real Wet Oil, Sargent, and Thick Paint sets. Painter 2019 costs the same as before – £359.99, US$429 or €424.95. Upgrades cost £179.99, $229 or €218.95.